Coral for luck. This simple yet gorgeous friendship bracelet features a lightly hammered rectangle with a wavy, reflective finish. The bar measures 45mm x 7.5mm and a toggle slides to easily adjust the cord's length for a snug fit. Personalise with engraving on the front and back of the bar, and on the toggle. 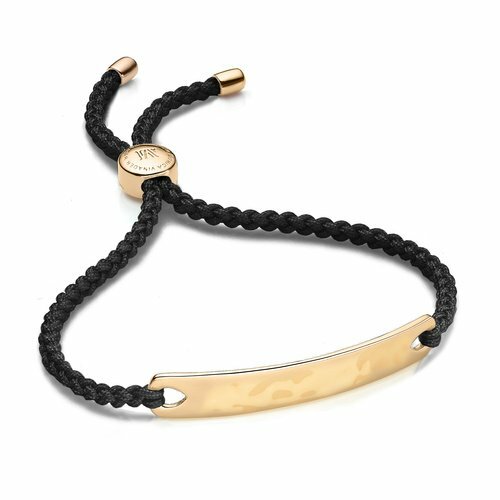 Layer up with your favourite MV bracelets.